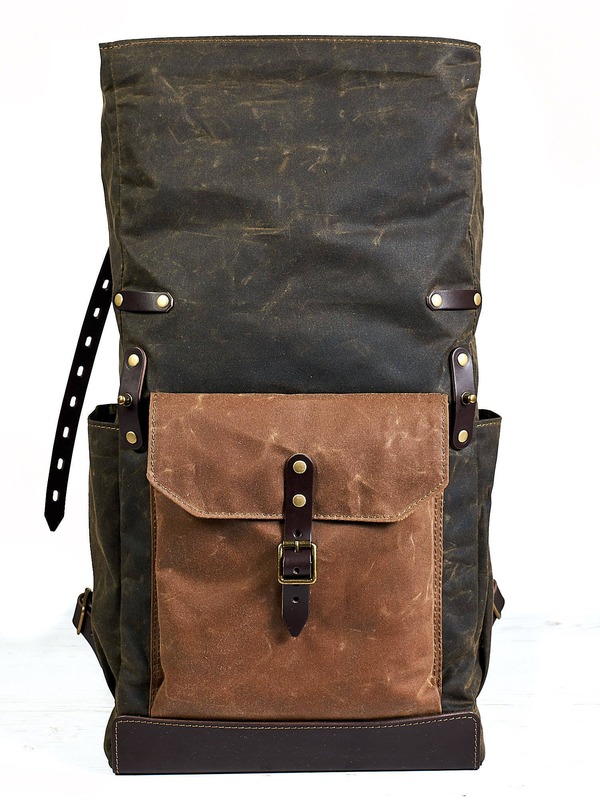 Waxed canvas roll-top backpack. 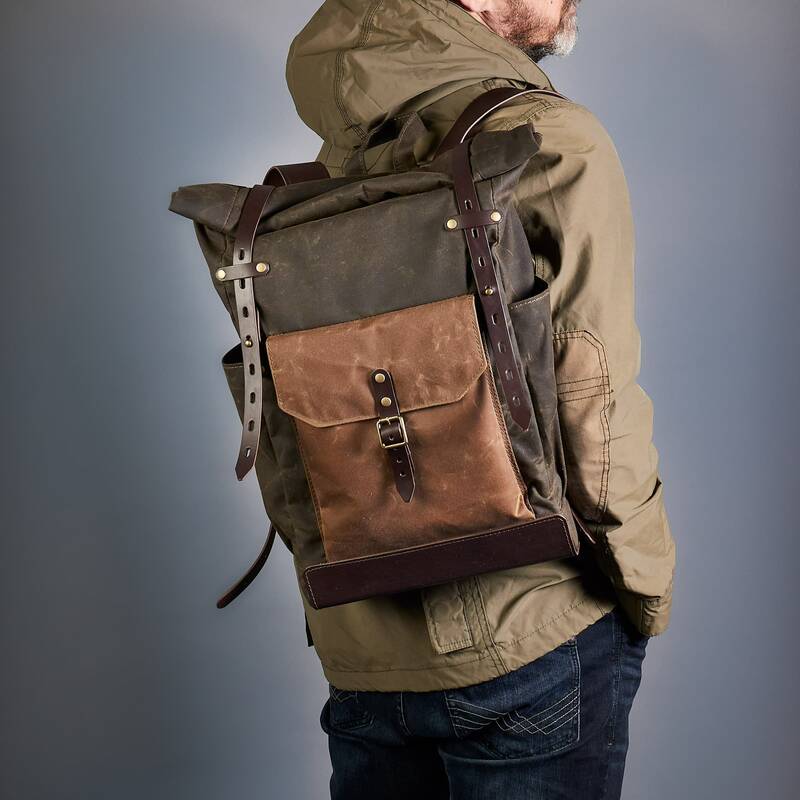 Hipster backpack in dark olive color. 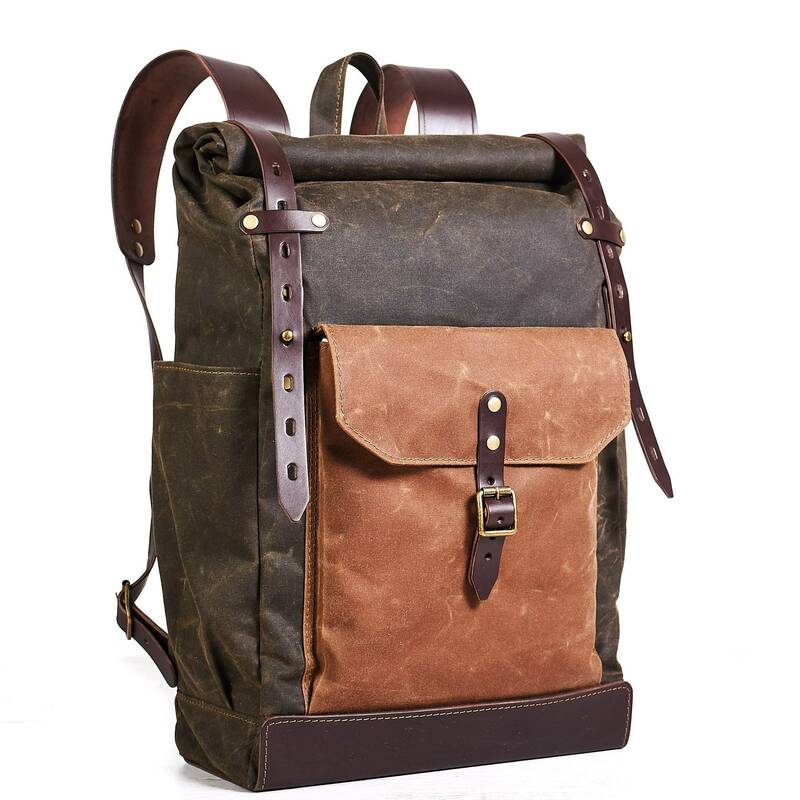 This simple and elegant waxed canvas roll-top backpack. Bag made in the best traditions of minimalist clear design. 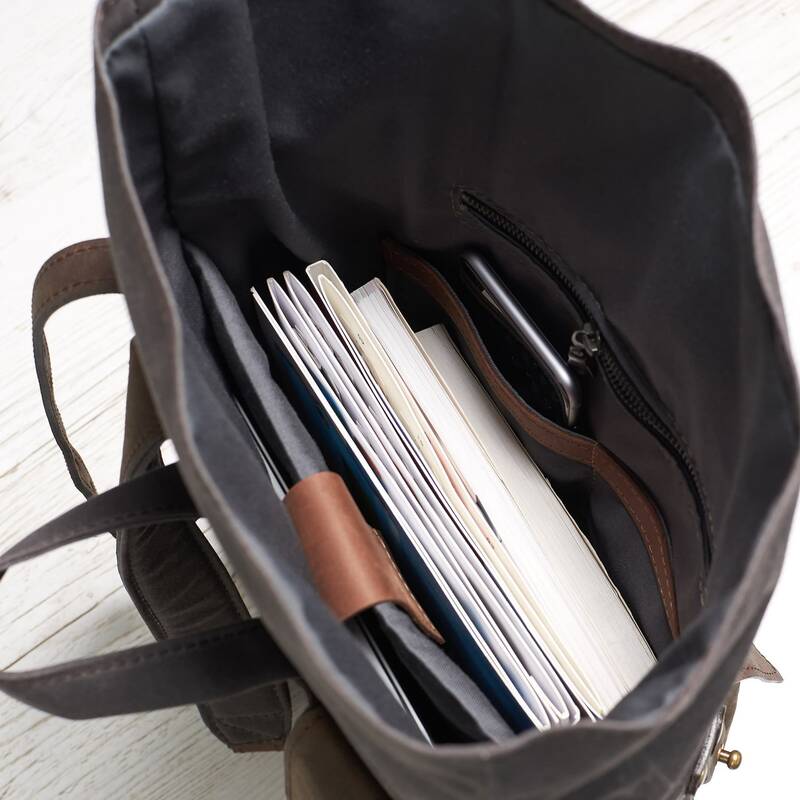 It’s ideal bag for daily use, work and studying. 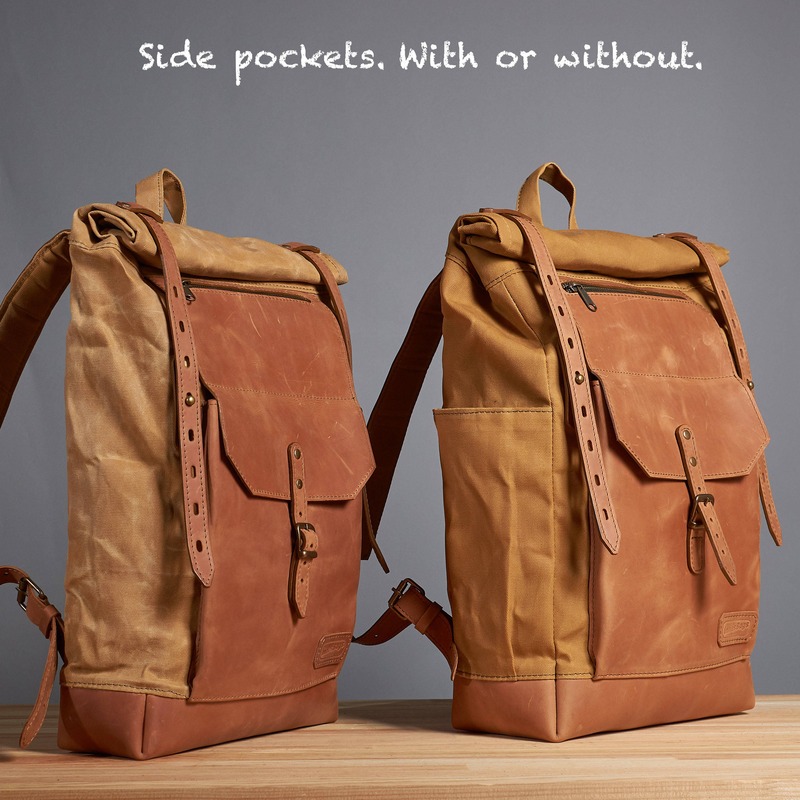 Backpack is made of a high-quality water-resistant British waxed canvas and thick 3mm leather. 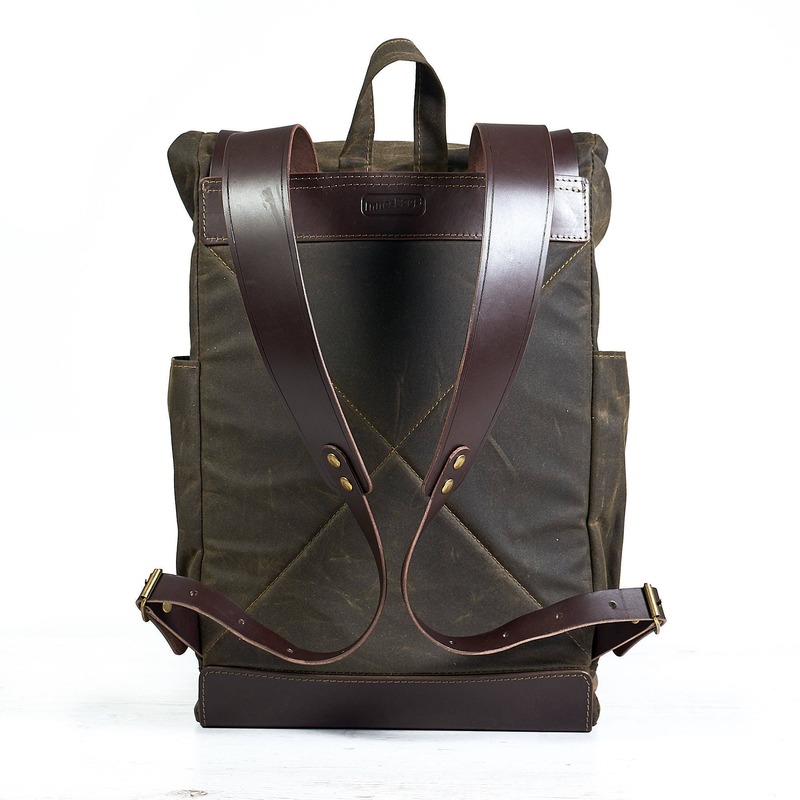 The wide shoulder straps made of 3mm leather. 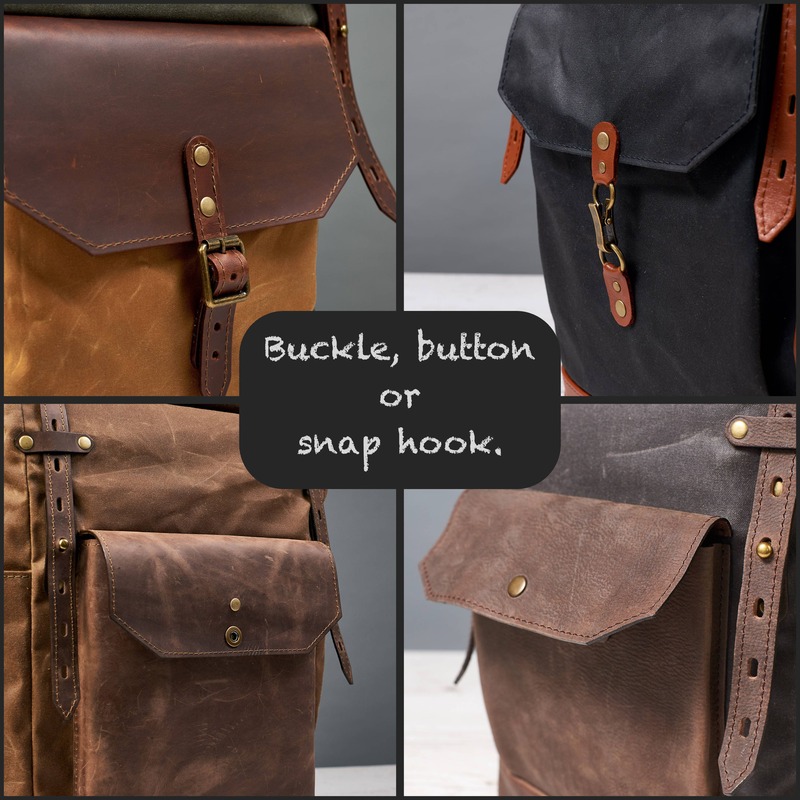 They are sewn on to back with 5 stitches and reinforced with a leather strap. Yes, we, as lovers of hiking, know that this is the weakest place in backpacks. 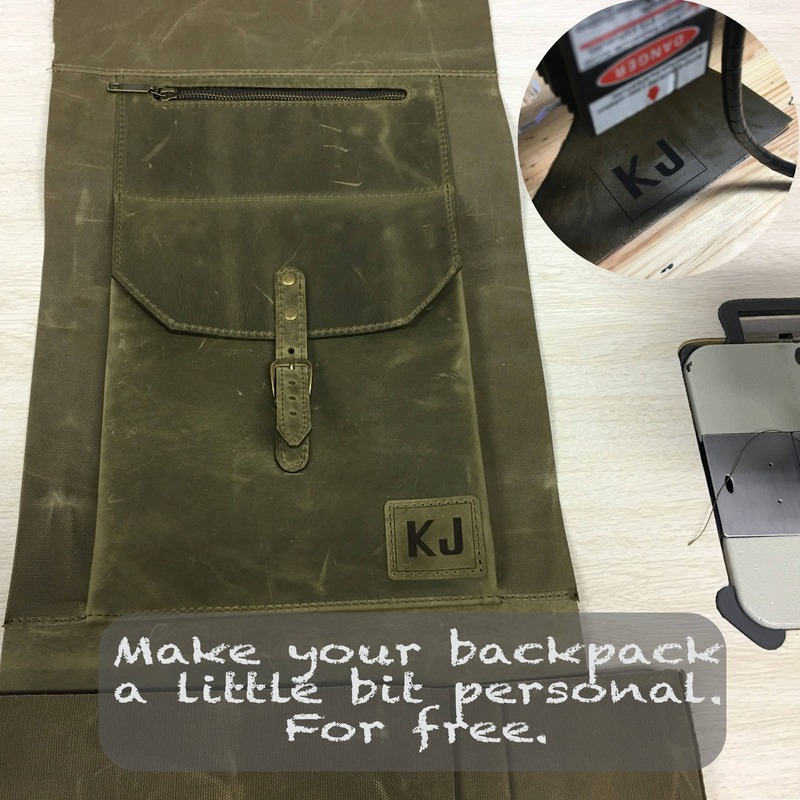 Therefore, we make the connection of the straps very reliable. top notch materials used & attention to every single detail. friendly communication. highly recommended.